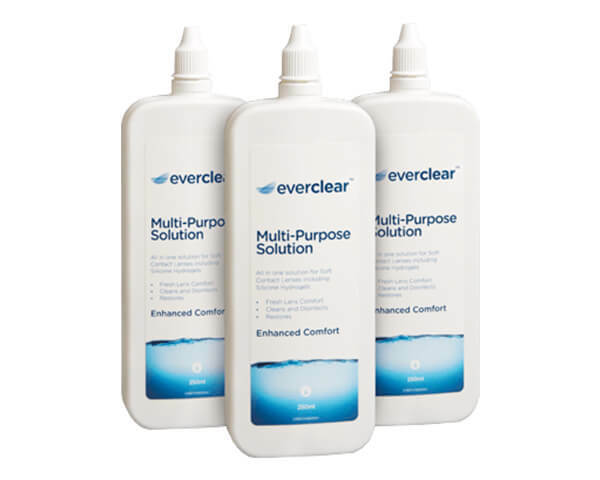 Multi-purpose solutions are the most popular choice for cleaning and storing soft contact lenses. We have a wide range of all-in-one solutions perfect for caring for your contact lenses and making sure that they work to the highest standard. What are multi-purpose solutions and why are they important? 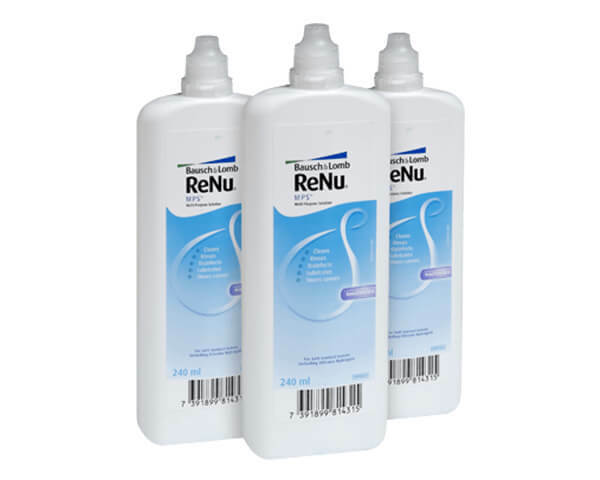 Multipurpose solution is designed to clean, disinfect and care for monthly or weekly soft contact lenses. Soft lenses are the most common type and include those made from hydrogel and silicone hydrogel materials. These lenses are easy to maintain; all you need to do is clean and rinse them in solution when you take them out at night and then store them in a contact lens case filled with more until the next day. Over the course of a day, it's only natural that your lenses will pick up dirt and debris that can interfere with your comfort as well as clarity of vision. The best way to avoid this is regular cleaning and multipurpose solution is perfect for sterilising your lenses, removing any build-ups from the surface. What are the benefits of using multi-purpose solutions? As an all-in-one package, multi-purpose solutions are suitable for all aspects of contact lens care whether it's cleaning, re-wetting, or storing them over night. lenses irritating you slightly during the day. At this point, you can take your lenses out, clean and re-wet them using multi-purpose solution and pop them back in for a more comfortable feeling for the rest of the day. This works just as well for daily lenses, so a bottle of multi-purpose solution comes in handy even if you're not a monthly or weekly wearer. While cleaning your lenses at the end of each day is often enough, if you suffer from dry eyes you may find your contact Once you've cleaned your lenses it's important not to undo all your good work and to make sure you store your lenses correctly. You can use multi-purpose solution to fill up your contact lens case and keep your lenses in it overnight so that they stay in the right shape and are comfortable to apply the next day. Our most popular multi-purpose solutions? Coming in a pack of 3 letter-box friendly bottles for easy delivery, this solution is exclusive to Vision Direct and is perfect for all your contact lens care needs. 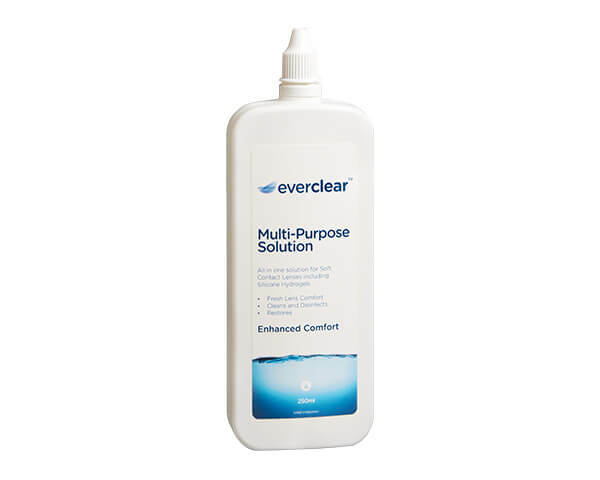 Everclear Multi-Purpose destroys germs and removes dirt or stains for lenses that feel comfortable for the entire wear time. From optical pioneers Bausch & Lomb comes this classic multipurpose solution that was the first of its kind and has endured in popularity to the present day. A pack of 3 letterbox-friendly bottles gives you plenty of solution to last a long time and will clean and care for your lenses so that they are always clear and comfortable. 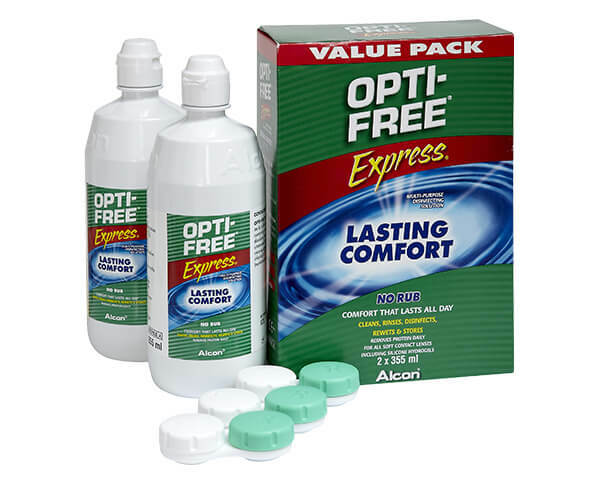 Containing 2x 355ml bottles of high quality solution, the Opti-Free Express Duo pack has been designed with an advanced formula to ensure your lenses feel as comfortable as possible. 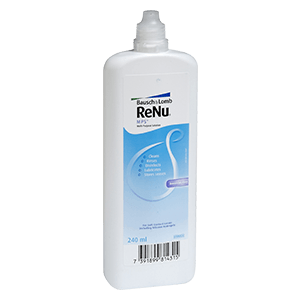 Using a dual disinfectant system, this multi-purpose solution is ideal for preventing any potential infections which keeps your eyes looking and feeling healthy throughout the day. Exclusive to Vision Direct, this popular solution is perfect for cleaning, wetting and storing soft contact lenses, including those made from silicone hydrogel. The bottle is designed to fit easily through your letterbox so that you can be sure that your solution will arrive on time even when you're not in. This solution gently cleans your lenses so that they in turn feel comfortable while you're wearing them. 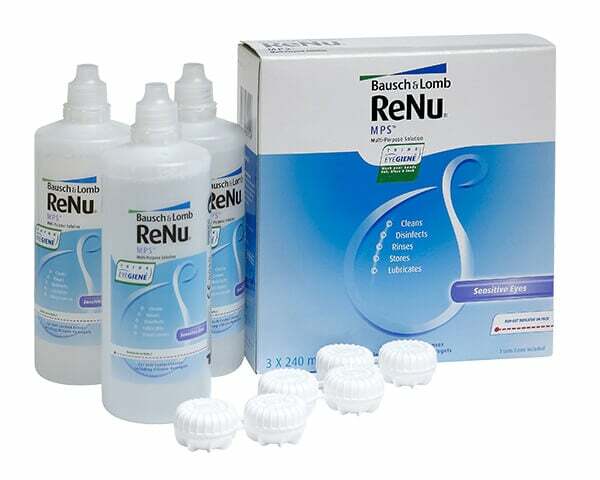 Manufactured by Bausch & Lomb, one of the world's largest suppliers of contact lenses, this pack of 3x240ml bottles will give you enough solution to last for up to 3 months.